The weekend started with the mind-blowing act presented by Challenge’s favourite magician, Dynamo. 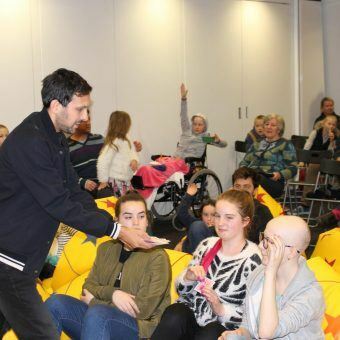 The Challenge Family Centre hosted a very lucky group of kids and teens to witness the magical abilities of international illusionist, Dynamo. 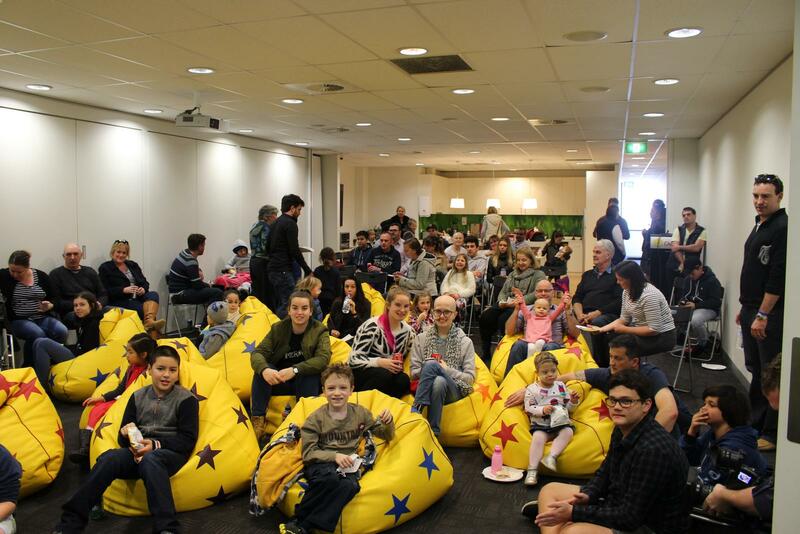 Four of the Richmond Football Club’s superstars – Reece Conca, Ivan Maric, Ben Lennon, and Kamdyn McIntosh – also joined to see the spectacle. 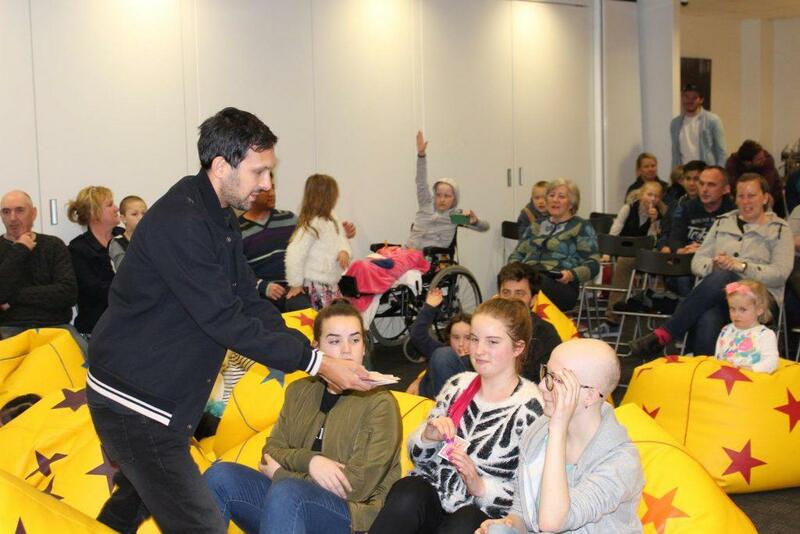 The expression on everybody’s faces spoke for itself – people could not believe the astounding tricks that Dynamo showcased for all to see! 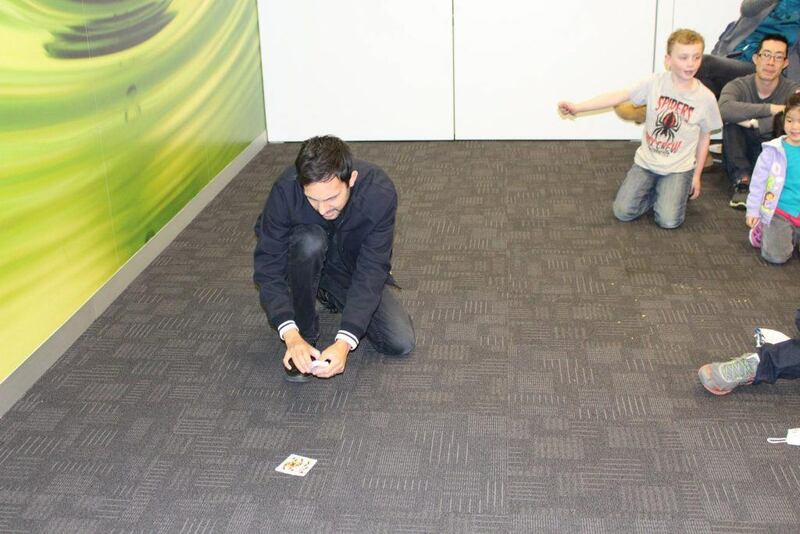 From complex card tricks to unbelievable illusions, Dynamo amazed us all with his enchanted entertainment. There was not one expressionless face in the room as even the football players watched on in pure disbelief! How did he pick that card from the pack!? 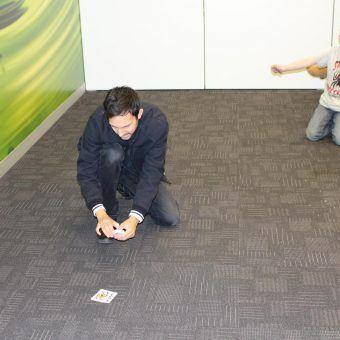 The weekend did not stop at magic, Saturday also held the ‘Barker-Whitten Challenge’. 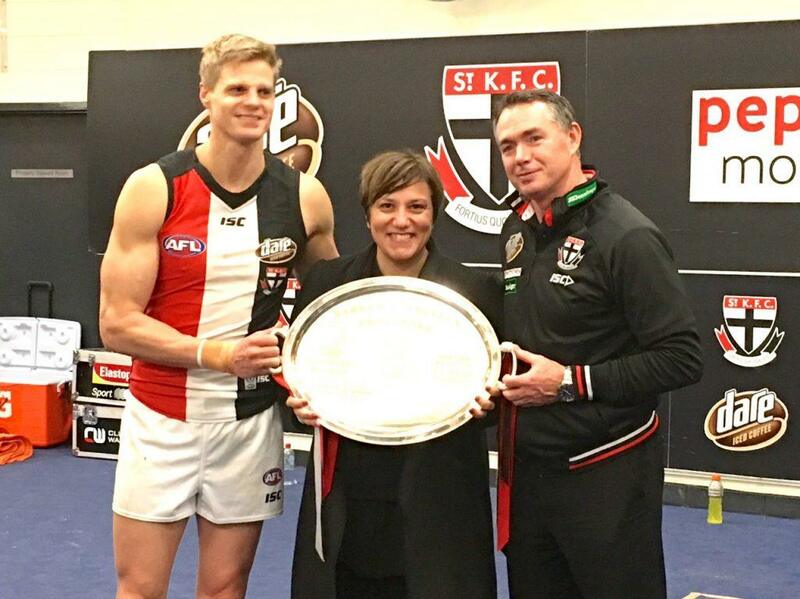 This is an event named in honour of St Kilda legend, Trevor Barker, and his foundation, which is now managed by Challenge. 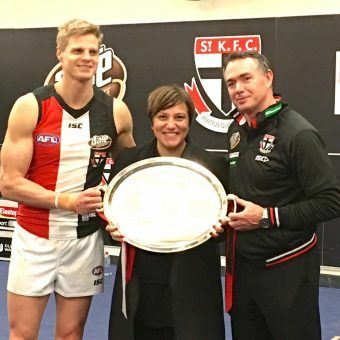 The occasion sees the Western Bulldogs fight against the St. Kilda Football Club for the Barker-Whitten Challenge Plate and this year, St Kilda defeated all odds and came out victorious! Adding to what had already been a football filled weekend; the big day finally arrived for the 22 Challenge children who got to live out their dream of running out with some of their AFL heroes. 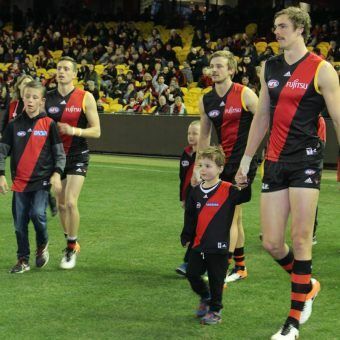 Midday on Sunday, Challenge’s most bomber-crazed kids – robed in their Essendon attire – rocked up to Etihad stadium with excitement radiating from their skin. Despite the frosty weather, the kids still mustered up the strength to bear their naked arms for all to see at Etihad Stadium. 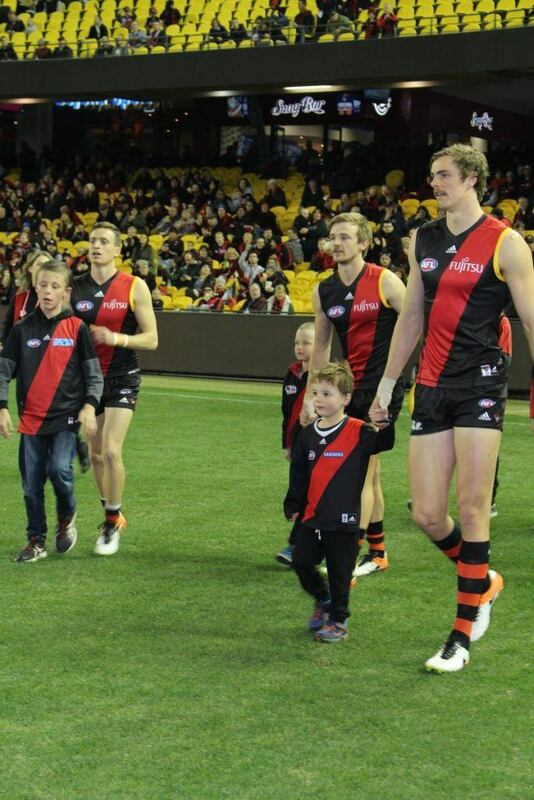 The kids were paired with one of the greats of the Essendon Football Club, who then escorted them out onto the giant oval itself. 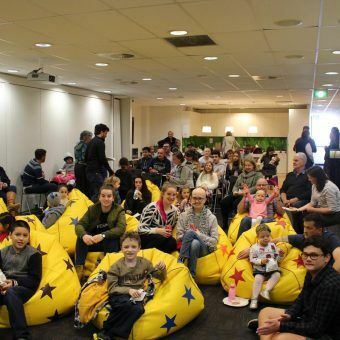 The grins on the kids’ faces were priceless and it was no doubt a day that they will treasure forever. It was an action packed weekend for Challenge and as we move into the second half of 2016, Challenge hopes to have more and more weekends just like this one!